In the spring of 2008 I was speaking at a marketing event in Atlanta, Georgia. One of the speakers told the audience about a book he had just written and published through Amazon. He stressed the value of having a link back from this mega site to our own books and blog and how that was increasing his visibility and credibility in a major way. It would be two years before I published a book and set up my Amazon author page, but when I did it changed my business in a major way. Your Amazon Author Page is valuable real estate. You need to know that Amazon provides an absolutely free of charge “about the author” page to each author who has an ISBN listed on Amazon. This applies whether you are the sole author, or if you collaborated with other writers. So this becomes a website for you to market yourself and your writing to reach an almost unlimited number of highly targeted and qualified prospects. People come to Amazon looking for information to purchase, and making sure that your author page is completely flashed out will assist you in attracting the right people into your funnel. This type of visibility is uncommon on the internet, especially when there is no cost to take advantage of everything it has to offer. Amazon calls these pages “Author Central,” and your personal profile page there helps your readers to know more about you as a person and as an authority on your topics. You may include a biography, your most recent blog posts, videos, photos, your latest tweets, and information on where you will be in person in the future. This can be extremely valuable to your credibility not only as an author, but also as a speaker, coach, or more. Once you are an author, go over to Amazon’s Author Central and create your account. It’s free and simple to set up. Then add your book, write about yourself in the biography section, and add the URLs of your blog(s) and Twitter feed. I also recommend add the next event you will be speaking at or attending. Sometimes I add the location of my Rotary meeting if I don’t have an event coming up soon so people will always have the opportunity to meet me in person. Add some photos and videos to let people see you and learn more about you. This personal touch can be just what you need to connect with your readers. Also, ask readers to click on the “Follow” button so they’ll know when you release a new title. This is great marketing for you over time, as Amazon will send these followers an email about your upcoming books when they are added to your page. Every time you publish a new book, or collaborate with others on a book be sure to add it to your Amazon author page. Over time you will enjoy massive credibility and visibility when people visit your page and see your body of work. Author Central also tracks your sales and author ranking to let you know just where you stand overall with your books. This can be valuable when you are brainstorming your next book and want a better idea of the bigger picture and how you can benefit from it. Take a look at my Amazon Author Page and then leave your feedback here in the comments section. I would appreciate that very much. This entry was posted in Online Marketing Tips and tagged Amazon, Author, Books’, Estate, Page, Real, Virtual on December 26, 2016 by Connie Ragen Green. 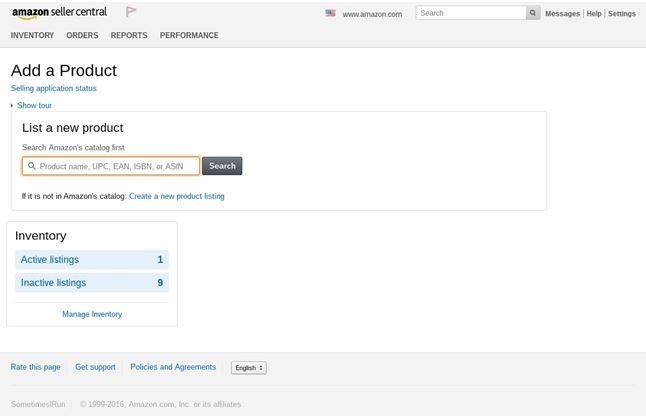 The first step is to register as an Amazon Seller, and you can begin the process by going to amazon.com/fba and clicking the “Get started” button if you’ve previously sold anything on Amazon before through Seller Central (Seller Central has a number of programs in additional to Amazon FBA). Sign in to your Seller Central account and click the “Add FBA” button. If you’ve never sold on Amazon.com before, then click the “Sign up here” link under the “Get started” button, and provide all the necessary information. You can find more information about Seller Central by visiting amazon.com. In order to complete the setup process, you’ll need to provide your business name, address, and contact information. You’ll also need to provide your credit card number; telephone number; and your tax ID (which is either your Social Security Number, or your Employer ID if you do business through an LLC, Partnership or Corporation). After logging in to your Seller account, mouse over the “inventory” link on the menu at the top of the page and click on “Add a Product.” You’ll then be taken to a page where you can enter the various details about your product, as well as upload photographs that show your item. Consider the process by which many people shop on Amazon.com. They search by specific keywords and phrases, and the products that Amazon determines to be the most relevant to those searches will be displayed to the shopper. Kind of sounds a lot like the Google search engine, doesn’t it? And the strategies for coming up with the best possible text for your product listing is similar, too. Consider what words and phrases a potential purchaser is likely to use when searching for your product. Put those keywords at the beginning of your listing. Use a keyword tool (such as Google’s Keyword Planner at https://adwords.google.com/KeywordPlanner) to help you identify various terms that are related to you product. When you have a list of potential keywords, do searches for those terms on Google, eBay and even Amazon.com itself in order to verify the types of products that are displayed. Identify the primary features and benefits of your product, and include that in the product description if possible. If your product has multiple uses, include all of them in your product title. Don’t just copy down whatever information about the product you received from the manufacturer. Treat your listing as seriously as you would the sales page on your own website because that’s essentially what it is. Depending on how your items arrived from your wholesaler, you may need to take the additional step of preparing those products for shipment to Amazon’s warehouse, so that they’re available for sale through your FBA account. Labeling Your Products – Amazon’s fulfillment process is highly automated, so your product will need to be properly labeled. You may be able to use the existing UPC barcodes on your product (if your product is so labeled), or you might need to label them yourself with Amazon-specific identifying bar codes. Once you’ve signed up for an FBA account, Amazon can walk you through the process of creating the necessary labels, although you will need to have your own printer and blank labels in order to do so. The detailed list of specific labeling requirements can be found here: https://www.amazon.com/gp/help/customer/display.html?nodeId=201100970. Log in to your Seller Central account. Now select the products you would like to include as part of your FBA listings by checking the box next to those items in the leftmost column. On the next page that appears, click the “Convert & Send Inventory” button. 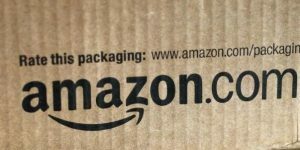 Now you’re ready to physically-send your products into Amazon.com so that they can make them available for sale to potential customers. In addition to the labeling requirements that we discussed above, you’ll also need to make sure that your items are packaged so that Amazon can quickly and efficiently pull them from inventory and ship them to your customers in single unit quantities. Your packaging must meet all applicable safety requirements that relate to both the products themselves as well as anyone who handles those products. For example, if the product you want to sell is susceptible to dust or other damage either when it’s in Amazon’s fulfillment center, or as it’s being shipped to a customer, then Amazon has specific packaging requirements relating to those items. So if you intend to package your manual coffee grinder together with a coffee mug, you must be sure that they’re securely packaged as a single item. The complete list of requirements can be found here: https://www.amazon.com/gp/help/customer/display.html?nodeId=200243250. Be sure to visit that page if you are going to be selling any liquid, powdered, or granular products as well as jewelry items, and any item that’s particularly small. What other questions may I answer for you on the topic of how to register as an Amazon seller? This entry was posted in Online Marketing Tips and tagged Amazon, Register, Seller on September 29, 2016 by Connie Ragen Green. When I published my first book on Amazon in 2010 I knew that what I was experiencing was a revolution in the world of publishing. Just a few years earlier Amazon had rolled out its Create Space POD (print on demand) program, allowing people like you and I the opportunity to publish books and get them into the hands of readers without having to go through the traditional publishing process or the expense of a “vanity press” company. Over the years this system has changed and evolved, and several years ago that was instrumental in leading me to create me own small publishing house, Hunter’s Moon Publishing. 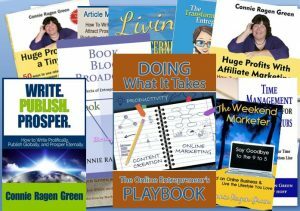 I’ve published a dozen of my own books through this company, as well as almost fifty books for entrepreneurs and small business owners who wanted to publish their book on their own terms. I will highly recommend that you read all of Brooke’s post and bookmark it for further review. She makes some excellent points there and shares very detailed information on Amazon and self-publishing in general. I visit Author Central regularly to update my books on Amazon. I just published my fourteenth book this week and immediately claimed it so that it would appear on my author page. I also updated my bio while I was there and added the details of my upcoming live event. Knowing the ins and outs of how everything works gives you a distinct advantage over those who do not take the time to do so. Becoming a multiple bestselling author has changed my life in so many ways. None of this would have been possible without Amazon jumping into the publishing world. What other questions do you have for me on the topic of self-publishing on Amazon and becoming a published author? This entry was posted in Online Marketing Tips and tagged Amazon, Authors, SelfPublishing, Tips on July 17, 2016 by Connie Ragen Green.